« I’m way outta my comfort zone with this one! I’m really loving using this new stamp set. It’s just so very versatile. This week I’m going to show you just a few of the styles and projects to which it lends itself. In this entry I’ve used it to make a Christmas card. This is a favourite colour combo. I think you are going to see lots more of these colours from me. They are kinda earthy Christmas colours. 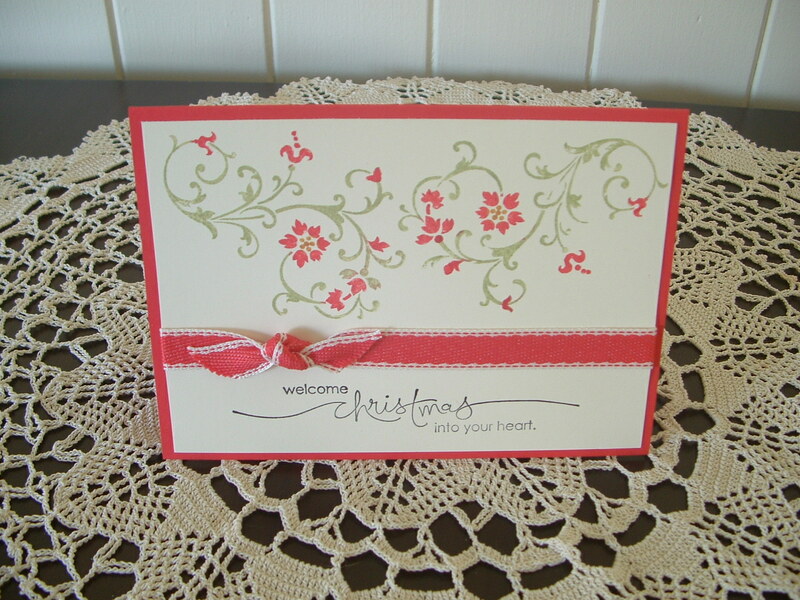 This shows the inside of the card and the post below shows the same card however with alternative colour combo. 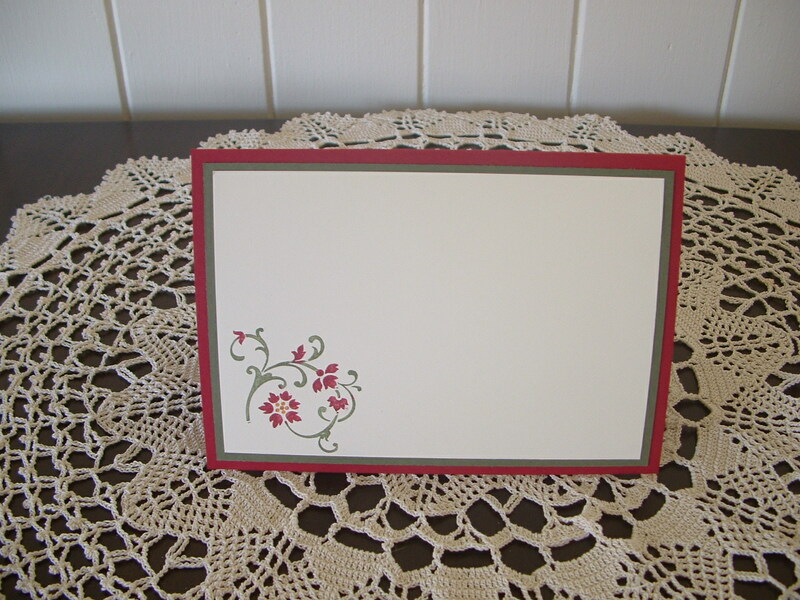 Come back later in the week and I’ll have a scrapbook page and a birthday card all using the same stamp set. No wonder I’m in love with it! Elements of Style stamp set is on page 99 of your Idea Book and Catalogue. It is a set of 5 stamps and costs just $39.95 for the clear version and $49.95 for those who prefer the wood mounted stamps. I really hope you like these cards as much as I enjoyed creating them. This stamp set is such FUN!! 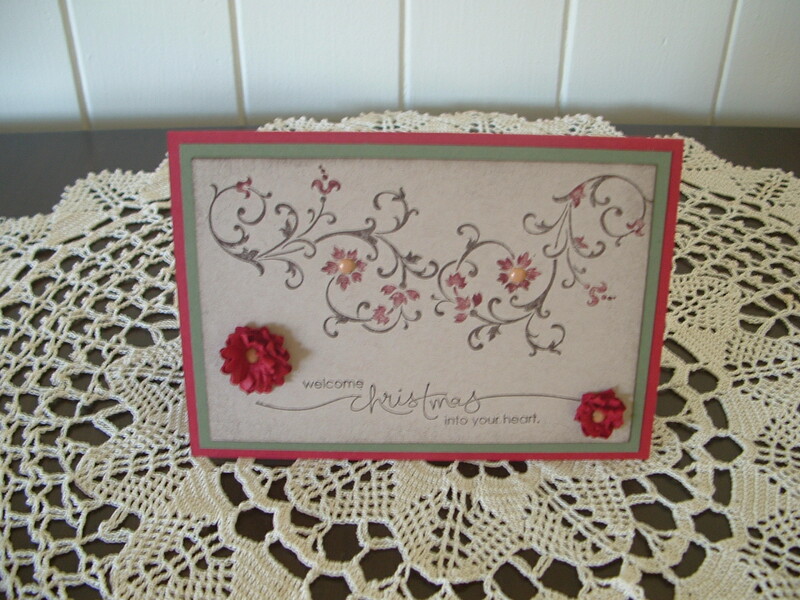 I am loving your work Jacqui, you should go out of your comfort zone and choose stamp sets such as this more often. Nice job on this one, too Jacqui – and you already know what I think of your awesomnes…bowing to you, again!